On today’s episode of The Ask Prof Noakes Podcast we re-look the Dairy issue and chat to Prof. Tim Noakes about the possibility of dairy being the cause that you are not able to lose that weight and perhaps it is because you are eating too much dairy? On this episode of the Podcast we touch on dairy and the LCHF diet or Banting Diet. Over the last few months there has been a lot about the role of dairy on the Banting diet in the media and again, people accusing Professor Tim Noakes of doing a switch and saying that you could eat dairy and now you cannot. Let us chat about the dairy – you have pretty much said it from the start here on the podcast that if you do struggle and your weight loss seems to plateau, that could be one of the areas you need to look at with regards to dairy. What is the take on dairy as far as the Real Meal Revolution goes? Prof Tim Noakes: Well, the Real Meal Revolution has not changed in the stance. In the first edition we warned that if you cannot lose weight, you need to worry that maybe you are eating too much dairy. All that happened was, I had nothing, absolutely nothing to do with that and I am not blaming anyone or anything like that but the report in the Sunday Times was atrocious because it was just a pack of lies which this lady had generated. 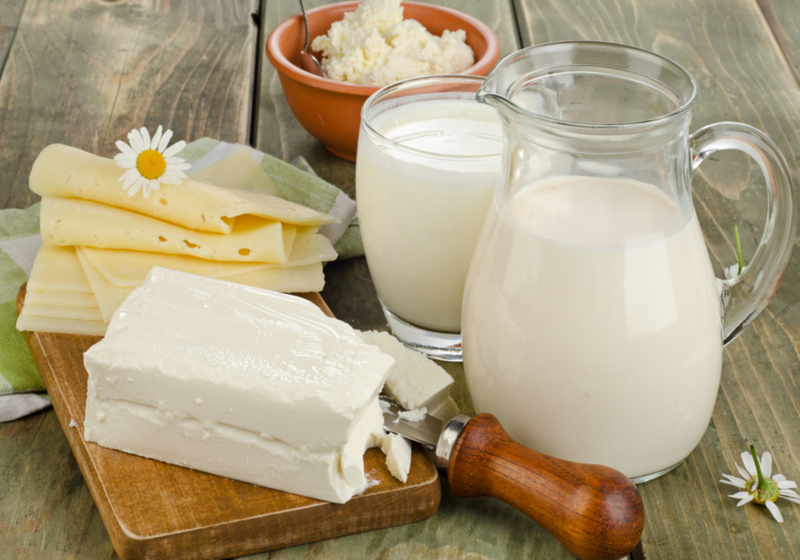 Are you Banting and eating too much dairy? What happened was Jonno Proudfoot realised that he was getting a lot of comments about it and he wanted to emphasise what we had already said in the book and he felt that what was written in the book was not enough, that people were still not getting the message so he put for one day, on his website, he put dairy to change it from the green list which means you can eat in an uncontrolled amount to the orange list which says just be careful. He did not say you cannot eat it or it is dangerous. It just said be careful and then there was a furore about that so he put it back on the green list with an asterisk saying if you are struggling to lose weight, just be cautious about overeating dairy produce. That is the position we held since the book was published over a year ago. It has not changed and it is exactly what we have been saying. Tim Noakes did not make any u-turns or anything, he has not changed his mind. However, I retain the right to change my mind if the evidence comes through that we have to change our minds. What I cannot understand about the media and maybe about some South Africans, is that we have every right to change our mind if we believe there is new information. The one thing that never changes, is that this is a low carbohydrate diet that you have to restrict carbohydrate. What you replace it with, whether you replace it with more protein or more fat or the type of fat that you replace it with, we are going to change that all the time because it is going to be new information coming through. In time, tomorrow a paper might come out saying that processed meat is the worst thing after grains and what are we going to do? We are going to say, the next day we will say okay guys, we were not right, processed foods, processed meats out. No more processed meat and that is the way you do it. We do not come and say gosh, because it is written in the book, we cannot change and people are going to say Noakes makes a U-turn. I am happy to make a u-turn when the evidence comes out and that is the way we have to be. For example, we took out alcohol off the green list and threw it out and said you should not take it or it is up to you to decide.